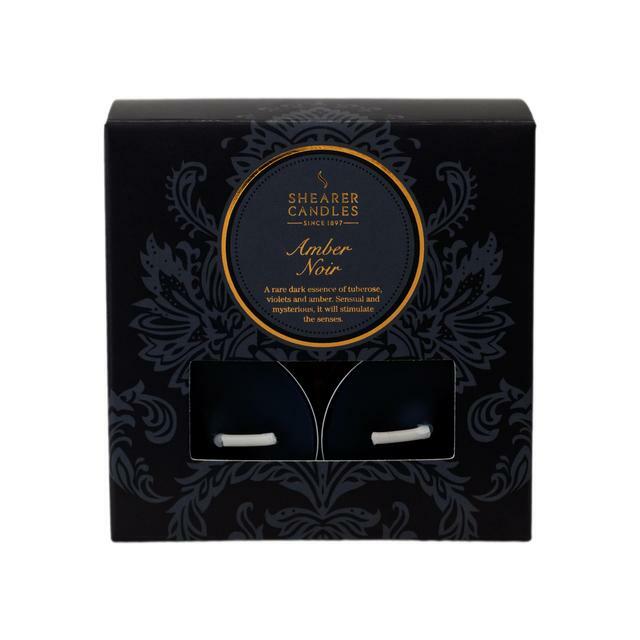 Amber Noir Tealights x 8 - A rare dark essence of tuberose, violets and amber. Sensual and mysterious, it will stimulate all your senses. For a subtle touch of fragrance, simply light these tealight candles in any room.